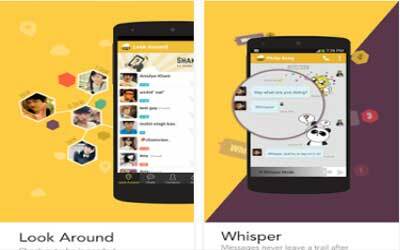 Previous version BeeTalk 3.0.0 apk for Android will help you to downgrade or install older app easily. This is one of the best Social apps. There is no doubt that this messaging app becomes one of the most famous apps for messaging with so many people who are using this app on their smart phone. This app can be used for sending video and audio message. It must be great that the video and audio message has great quality. The user interface is always designed with the new thing so it is able to perform greatly. There are some noted features which can be found from this messaging app including the text, video, and audio messaging which can be enjoyed for free. This app allows users for finding their friends nearby their current location. Users will also get the great platform which can provide great chatting experience after all. Different profiles can be browsed and they can flip to the right stand for like so they can be friend automatically. Because there are some add-ons such as sticker, people will be able to enjoy more awesome chatting experience. However, there is interesting and unique feature offered by this app called whisper message. The message will disappear after it is viewed by the recipients. Some other features are great as well including the doodle feature, group chat, web content sharing, as well as user profile picture showing. Flip, Browse through different profile pictures. Flip to right to “Like” and left to “Dislike”. Automatically become friends if you like each other! Shake, Find people who are shaking together with you to make friends! Whisper, Send messages that magically disappear afterwards! Doodle, Sketch and draw to your friends! Stickers, Enrich your chatting experience with cute stickers! The new version is smoother than before.